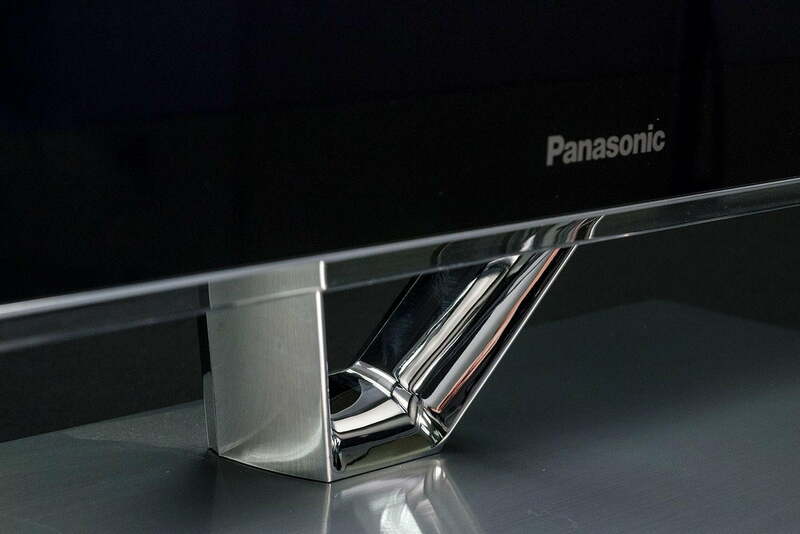 Simply put, the Panasonic VT60 is one of the most outstanding TV’s ever made. 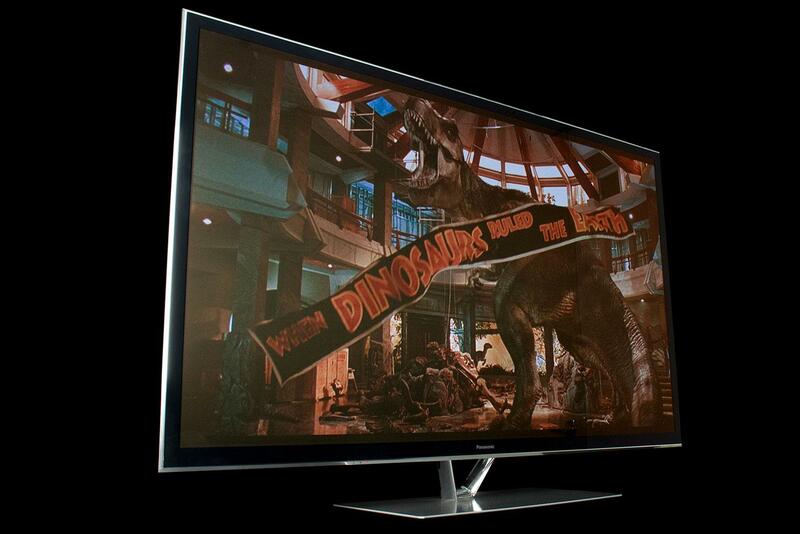 Panasonic VT60 Series information: This review is based on our hands-on experience with the 55-inch TC-P55VT60 TV. However, our observations also apply to the 60-inch TC-P60VT60 and the 65-inch TC-P65VT60. According to Panasonic, the three sets differ only in dimension and weight and offer identical features and performance. If we were to go through all the features this TV offered, we’d be here all day. Both the ZT60 and VT60 are the most beautifully designed TV’s we’ve ever seen from Panasonic and, for our money, are the most beautiful plasma TV’s available this year. But while purists might prefer the ZT60’s sharp, clean lines, barely-visible chromed bezel and thin, acrylic trim, gadget-heads might lean toward the VT60, which features an on-board camera and front-firing speakers system. In addition to its gorgeous panel, the VT60 also boasts a stand that is as functional as it is beautiful. Made of solid, brushed metal, the 16.5-pound stand is one of the most rock solid we’ve seen. 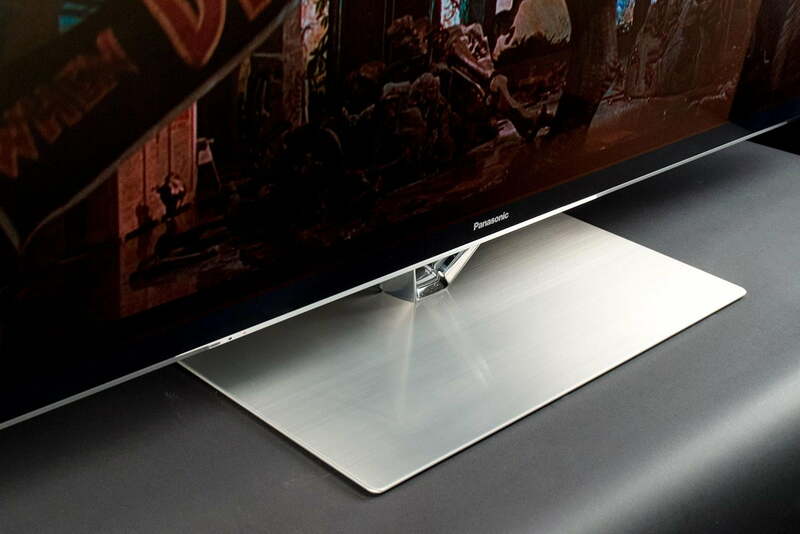 Though it isn’t as curvaceous as the Samsung F8500’s stand (nor does it swivel) we never worried about whether the 80-pound TV might tip over. Unlike the ZT60 series, the VT60 doesn’t have gold plating on its HDMI (3), USB (3) and component video/analog (1) inputs. But the VT60 is similar in that it does offer an Ethernet port, SD (SDXC) card slot and digital audio output (optical) jack. It even supports keyboards and other remote devices via Bluetooth. To be honest, we’d like to have seen at least one more HDMI port. Even many people will use an A/V receiver to switch between sources, we know plenty more who can use every HDMI connection they can get. When you’re charging this much for a TV, what’s an extra HDMI port here and there? While the VT60’s panel is nothing to sneeze at, it lacks the upgraded “Studio Master Panel” available in the ZT60 model. According to Panasonic, the ZT60 does a better job of bucking ambient light to maintain excellent black levels during daylight viewing. In theory, the ZT60 would look a little better than a VT60 in a room with lots of daylight pouring in – something we ended up testing for ourselves. Still, the VT60 is meant to be capable of the same excellent black levels in a dark room – something we also tested. 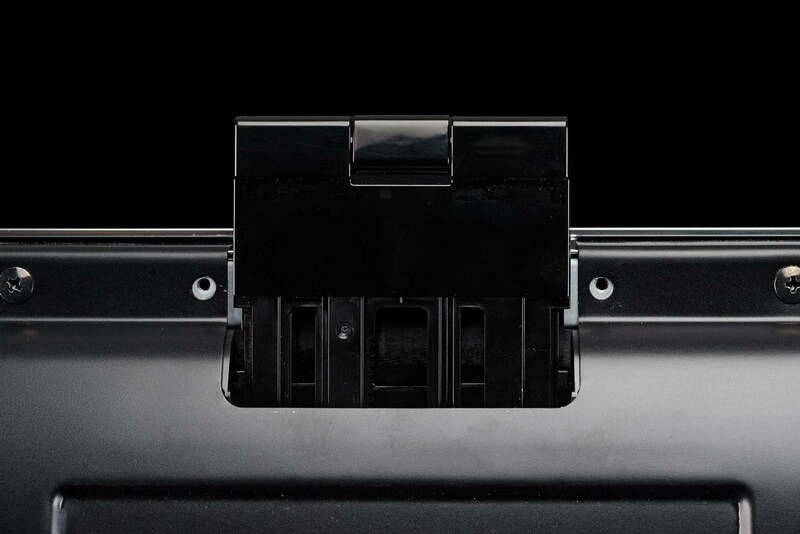 Unlike the ZT60, the VT60 comes with an on-board camera for facial recognition, Skype and other apps. 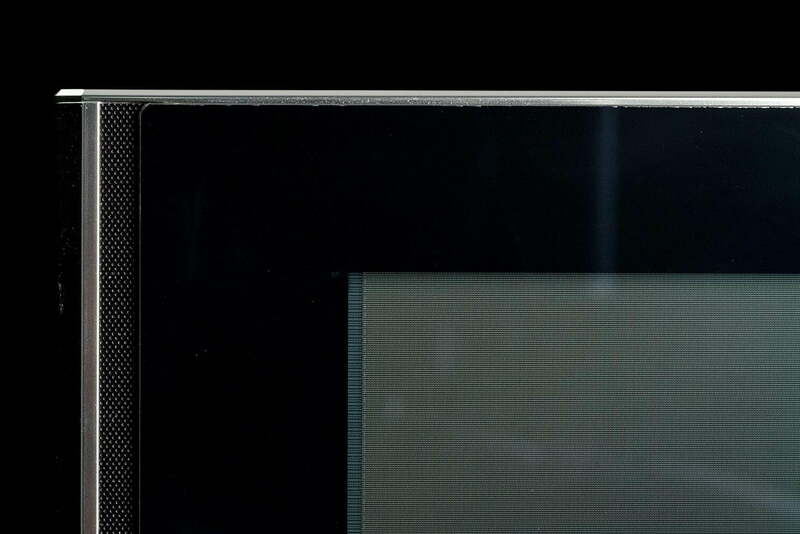 Unlike the ZT60, the VT60 comes with an on-board camera for facial recognition, Skype and other apps. It also comes with a little Bluetooth remote which, among other things, allows voice commands. The remote will also let you swipe and click your way around the VT60’s menus and manage simple operations such as changing the channel and adjusting the volume. Panasonic also gets honorable mention for having drastically improved its Smart TV interface. We like that users can create their own customized home screens, with only the apps they want and those apps placed exactly where they want them. And, ideally, those home screens can then be pulled up by facial recognition so that when Dad turns on the TV, he sees his homescreen instead of Mom’s or Johnny’s – a great idea, at least. Turn it off! –The VT60 has two (potentially three, depending on your preferences) annoying quirks that need to be dealt with before launching into any other adjustments. The first is the TV’s voice guide, and the second is the TV’s banner ads. The banner ads are a less-blatantly invasive feature, but they do get annoying after a time. Adjusting the volume need not pull up an ad for Comfort Inn Suites…or anything else for that matter. This just feels like a skeevy way to push advertising. Why Panasonic included it is beyond us, but it’s there so, again, turn it off. Picture settings – We have always maintained that the best possible TV calibration will come from an ISF-certified calibrator; and if you’re looking at purchasing a set as blue-blooded as the VT60, that is something you should certainly consider. Gush time: The VT60’s picture quality is spectacular. Like the Samsung F8500, it had us excited to turn it on every day; and we didn’t really care what was going to come on once we did. No matter what we watched, the VT60 made the content look as awesome as it possibly could. And we’re not talking about the sort of fine details that only videophiles can appreciate, either. The VT60 combined deep, rich blacks with vibrant and accurate colors to produce a picture that captivated everyone who happened by the TV. Its superiority is plainly obvious. There’s just not a whole lot of point in busting out your…calibration discs on this one. The one area in which the VT60 faltered was in bright-room scenarios. While the ZT60 and Samsung F8500 were both able to maintain deep, rich blacks with sunlight blazing into our daylight testing room, the VT60 just couldn’t keep up. Placed side-by-side in a darkened room, however, the ZT60 and VT60 were indistinguishable. Those who intend to use their set in a dedicated theater environment should have no qualms with choosing the VT60 over the ZT60. The two are evenly matched in such an environment and, as we mentioned the VT60 even comes with a few extras the ZT60 omits. As for 3D: Let’s just say 3D isn’t the VT60’s strongest suit. We felt like the crosstalk we experienced exceeded that of the F8500, and though we find Panasonic’s 3D glasses perfectly comfortable, we found ourselves wanting to take them off. The ZT60’s 2D picture was just so exemplary that it seemed a shame to miss out on it by forcing ourselves to watch 3D. Just because you can doesn’t mean you should. This is a feature we secretly hoped would be awesome. Unfortunately, we wound up underwhelmed. The idea is to create a homescreen customized with all the apps you want and none that you don’t want. Once done, the user can save it to a profile. The TV then takes a photo to associate with the homescreen and profile. From then on, if the user wants to take advantage of face recognition, they must then grab the Bluetooth remote (losing us already) and use the voice command button while saying “my home screen.” At that point, the TV is meant to recognize the users face and pull up the correct screen. The only problem is the camera is rather sensitive to light (as cameras tend to be) so we had no luck getting it to work in dim environments. It didn’t work if we were standing near a source of bright light, either. While we found the ZT60’s sound quality to be unremarkable, the VT60’s was straight-up awesome. Though the thin strips of speakers along the left and right edge of the TV are all but invisible, they seem to have a huge impact. With this set, the bass never seemed out of balance. Dialog was always intelligible and, perhaps most importantly, treble was never aggressive or brittle. In short, the VT60 has one of the most balanced on-board audio systems available today. 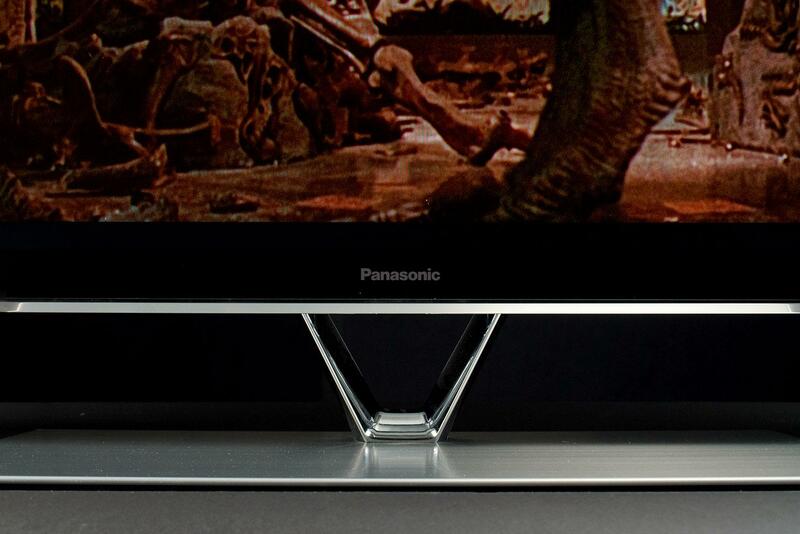 The VT60 is a marvel in engineering and Panasonic deserves a huge pat on the back for producing such a quality product. Although it lacks the bright-room performance abilities of its more expensive cousin, you’d never know the difference in a dark room. That it comes in a little less expensive than the ZT60 is also pretty compelling, though there’s no getting around the fact that we’re talking about an expensive TV here. Yes, the VT60 is expensive. At the time this article was written, the 60-inch model is listed at $3,000 (vs $3,500 for the ZT60), but is selling for about $2,650 online. The 55-inch model we tested goes for even less at about $2,300. Add that to the fact that you can only get the ZT60 at Magnolia outlets in Best Buy stores through the end of July, and there are enough reasons that folks will opt for the less expensive version. Just because it is less expensive doesn’t mean it’s a lesser TV, though. The VT60 is totally outstanding and easily earns our Editor’s Choice award. But before we go, let’s address the question of which is better: ZT60 or VT60? To answer, let’s look at the three key differences between the two. The ZT60 does better in rooms affected by sunlight, while the VT60 has superior sound and comes with a camera for Skype and facial recognition. Which is better for you will depend on your priorities, but for us, the ZT60 is worth the extra $500 or so. We can take or leave the camera, and while we appreciate the VT60’s superior on-board sound, we think most folks purchasing a TV at this level will have a supplementary sound system in place (and if they don’t, they are seriously selling themselves short). To us, getting the stellar performance these TVs are capable of in any room of the house is a big bonus. So, the ZT60 gets the ribbon.